Marc proposed by taking the day off work without me knowing and setting our house up all romantically with roses and candles. When I arrived home the house was all set up but he was nowhere to be seen. On the table was a note which said “Read me”. I proceeded to read the note which told me how much Marc loved me and how he wanted to spend the rest of his life with me. At the end of the note it said, “if you feel the same way then walk through the door”. As I opened the door, there was Marc down on one knee holding the engagement ring. He then asked me to marry him. We met one night when we were out with friends. One of our mutual friends tried to set us up that night but it did not happen. We didn’t see each other for a couple of years, but when we did and we started chatting, there was no looking back. Photographic art, were some of the most friendly and professional people we have ever met. 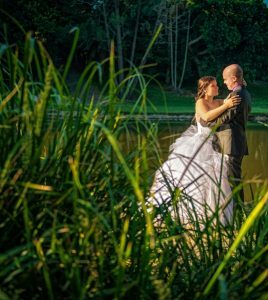 They were highly organized and helped plan the fine details of our special day with ease. They managed to relax us on what could have been a very stressful day. 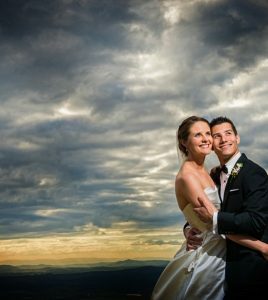 We couldn’t have asked for more when choosing our wedding photographers. And to top off the excellent service we managed to get so many amazing photos that it was almost impossible to choose because the quality of all the photos was so high. If we had to do it all over again we would definitely choose photographic art again. Our favorite part of the day was the moment when I walked down the isle. We had been waiting for this day for some time, it was the moment when the whole wedding experience became “real” and it was the beginning of the rest of our lives. Take the time to enjoy the day, it really does go fast. Try to relax and take in the most special day of your life.